Pro-Shop manager Ross Jenner is on hand to answer any enquiries you may experience. Having worked in the golf industry for the past 20 years Ross is proficient in the areas of club repairs, retailing and custom fitting. His extensive knowledge of golf equipment and genuine love of the game provide a comprehensive experience for every customer. 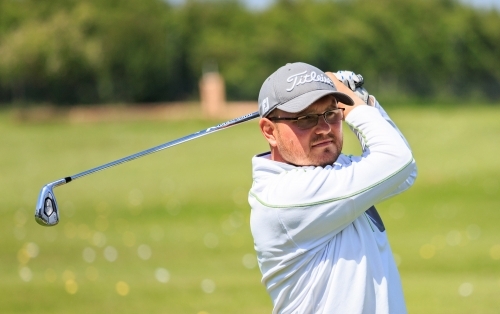 Tom is a passionate golf coach and brings a wealth of experience coaching beginners to elite players. Tom, originally from Swindon passed his PGA training at Ogbourne Downs GC before moving to the Middle East, Russia & working for renowned golf coach Scott Cranfield in London. Tom is a TPI (Titleist Performance Institute) certified golf coach and his coaching philosophy is to keep things very simple and works around what each individual can achieve with their body. Golf swing analysis is used by using the GC2 & HMT launch monitor which is the most sophisticated and advanced launch monitor on the market today. The information it gives you will help simplify your golf swing and improve your game faster. It gives you information on club head speed, angle of attack, spin rates, distance control and much much more. Tom has run corporate golf days for the likes of Emirates Airlines and has expertise in junior & group coaching. He is continually improving his coaching by attending training days and has just completed a golf psychology course through the PGA. Tom has been very fortunate to attend seminars with the likes of Pete Cowan, Karl Morris, Claude Harmon, Dr Brian Hummings & Scott Cranfield. Tom is fully up to date with all CRB, Safe Guarding & Child Protection guidelines. To keep up to date with offers and more information, please follow @tomhartleygolf on Twitter or like his Facebook page Tom Hartley Golf Coaching.